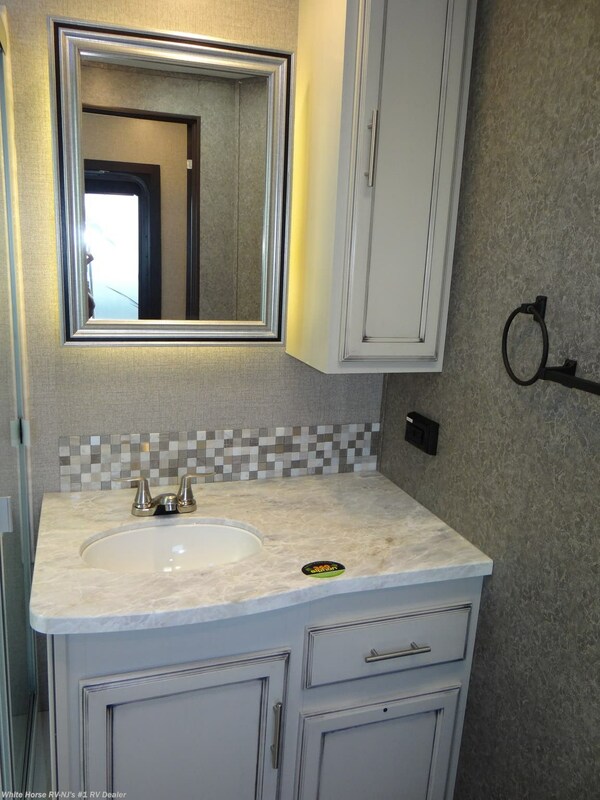 2019 Eagle Travel Trailer: Destination-ready! 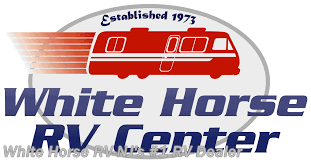 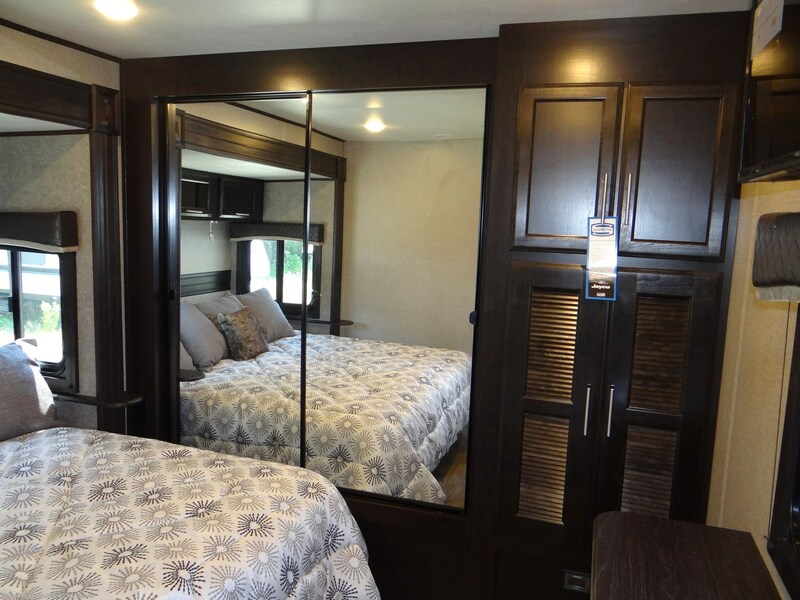 For more than a quarter century, the Eagle has been a leader in travel trailer innovation and quality. 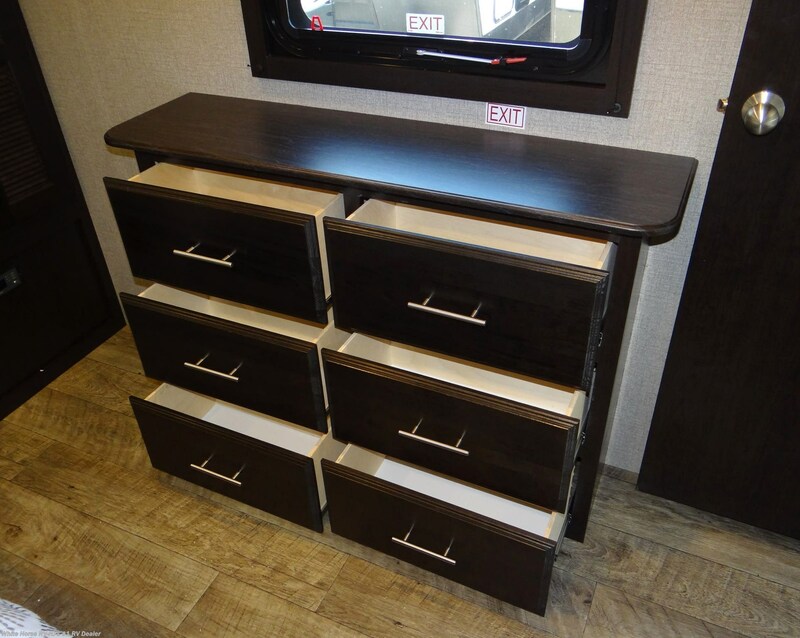 The 2019 lineup is no different. 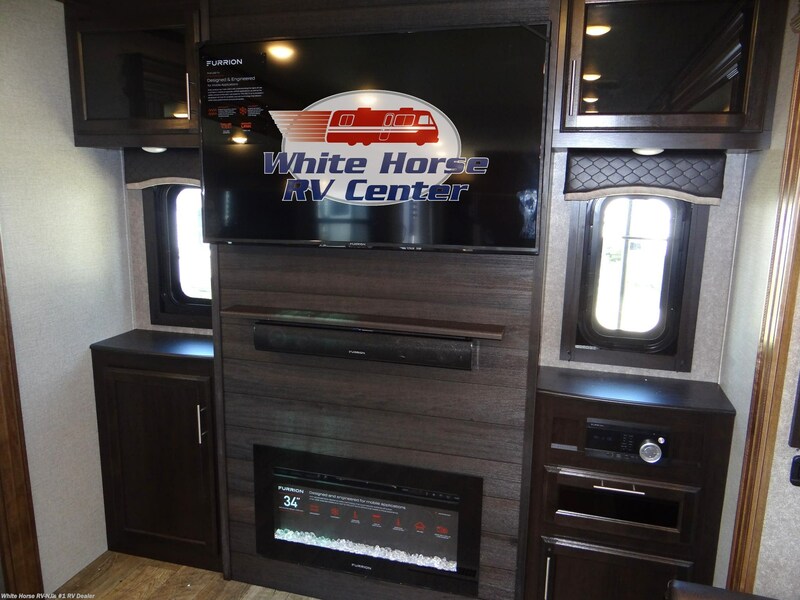 Unmatched construction and an array of unbelievable standard and optional features set it apart yet again. 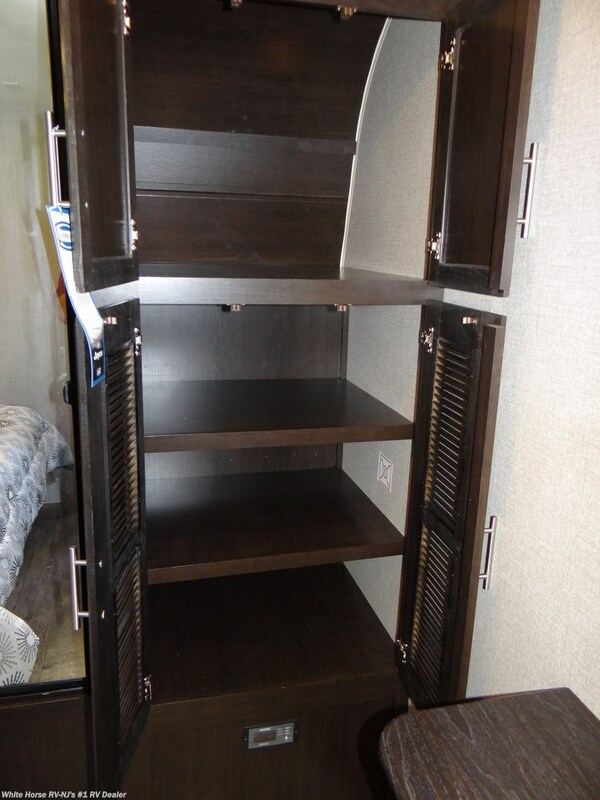 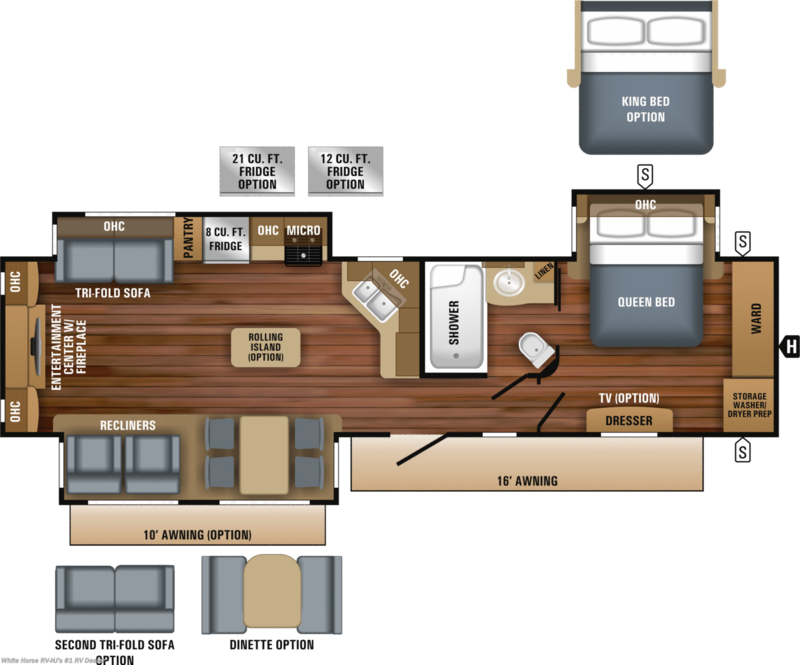 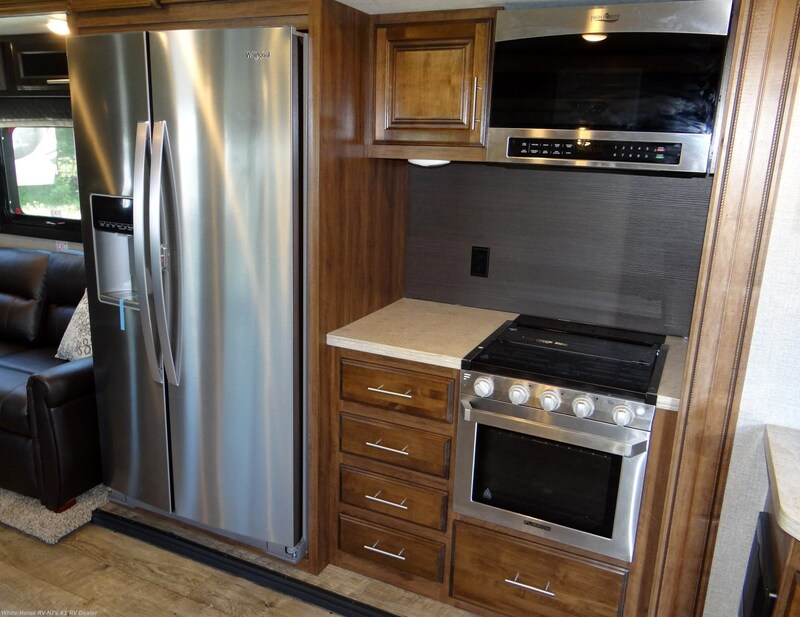 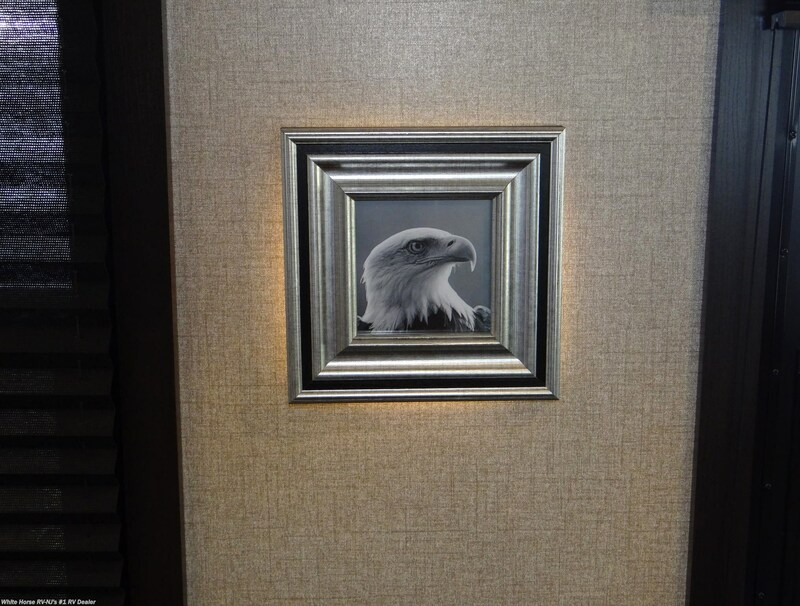 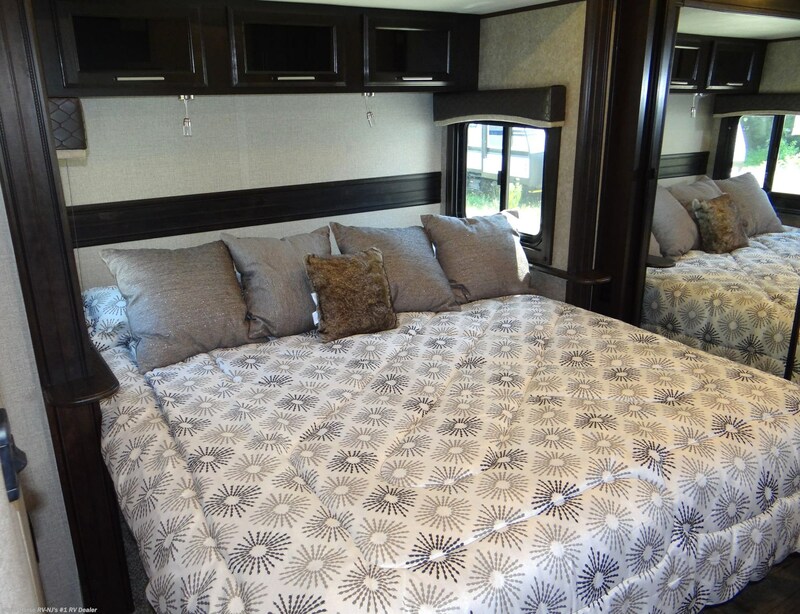 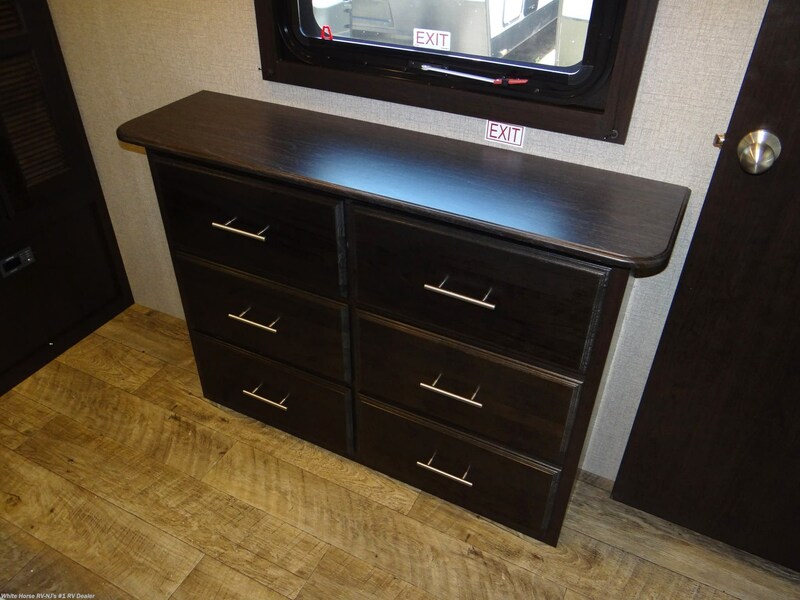 Handcrafted, American Brown Maple cabinets, (optional Modern Farmhouse contemporary), and LED lighting throughout, stainless steel in the kitchen and Shaw® residential carpet w/R2X® stain guard and carpet pad,..only the best in the Eagle fifth wheel. 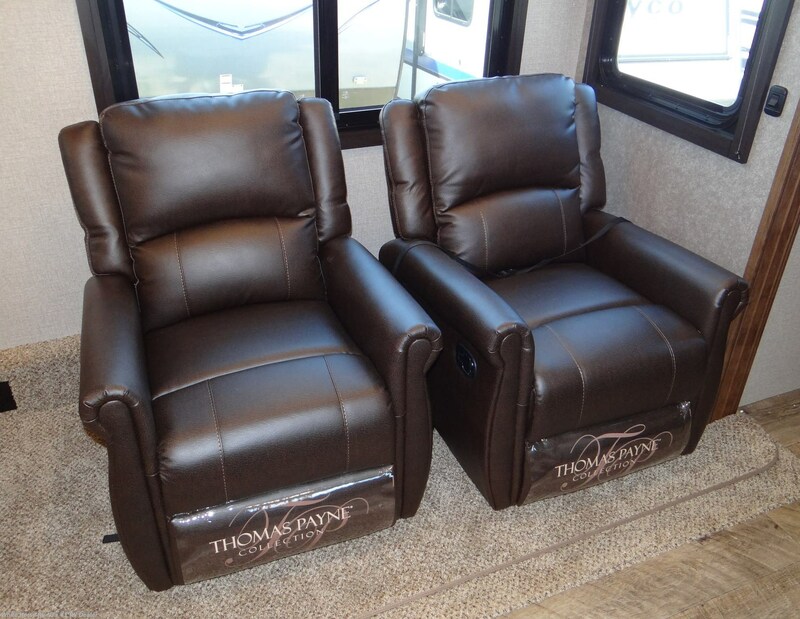 Optional wall-hugger theater seating, (std. 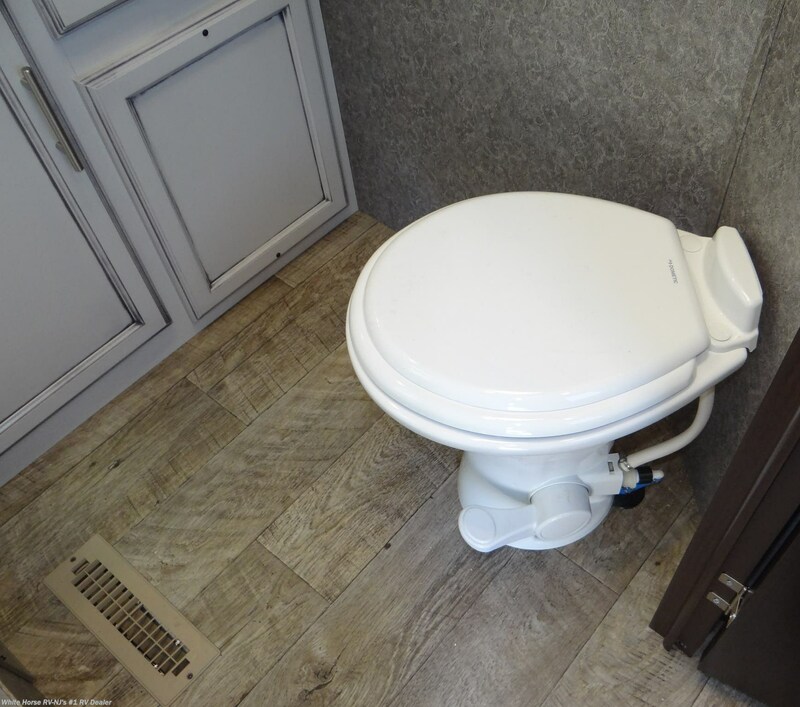 on 322RLOK), has been enhanced for maximum comfort and space savings. 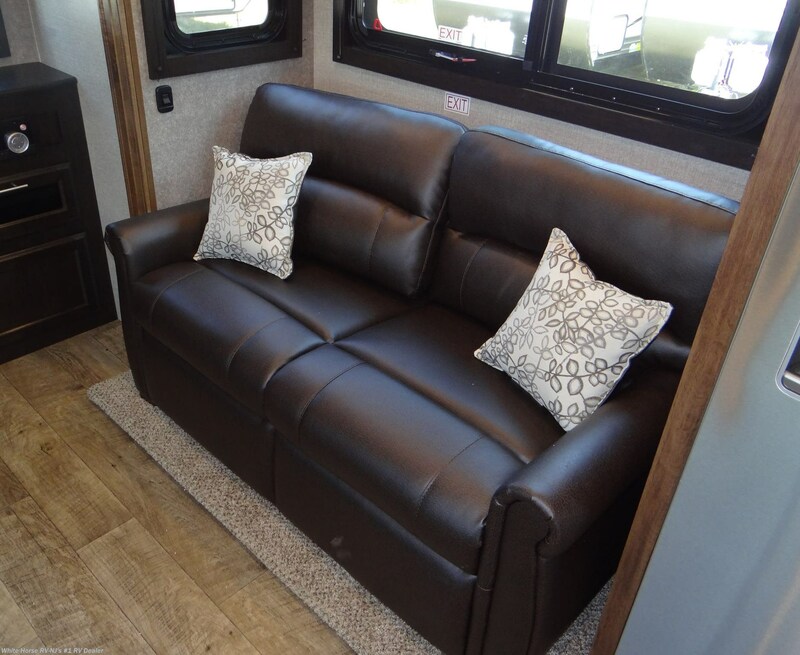 The Tri-Fold hide-a-bed sofa with its residential sleep surface makes the living area as versatile as it is comfortable. 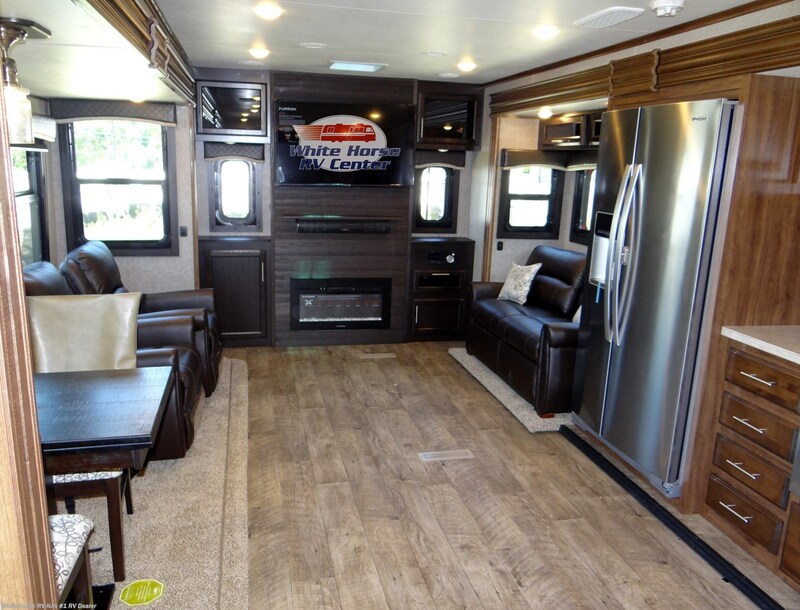 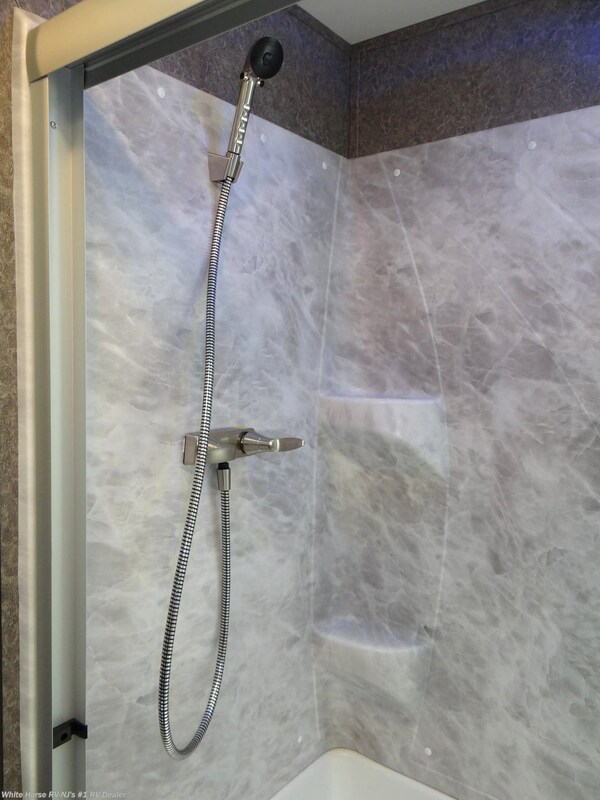 The Eagle travel trailer includes an I-class cambered, structural steel I-beam frame, a high-gloss, fiberglass front cap with built-in LED lights and 16-inch 10-ply, load range ‘E’ steel-belted radial tires. 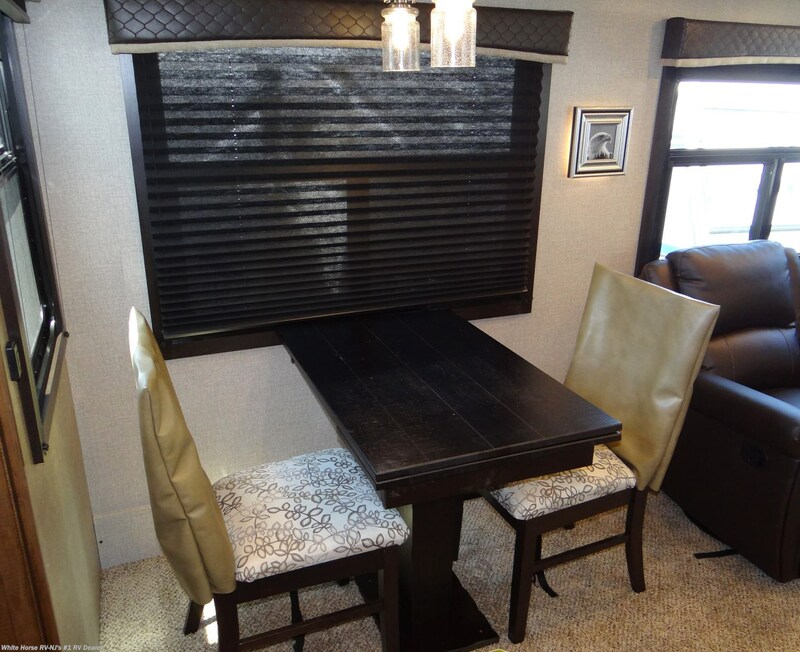 Plus, the Magnum Truss™ Roof System is the strongest tested roof in the industry. 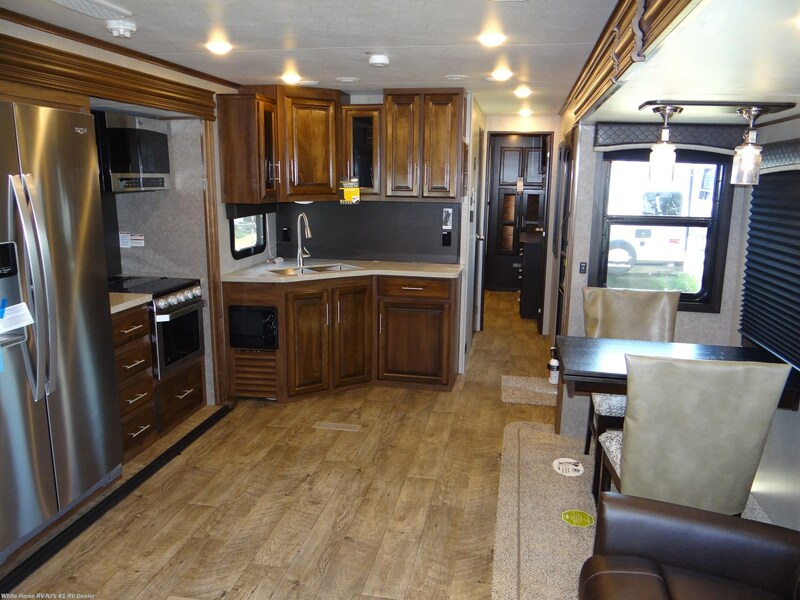 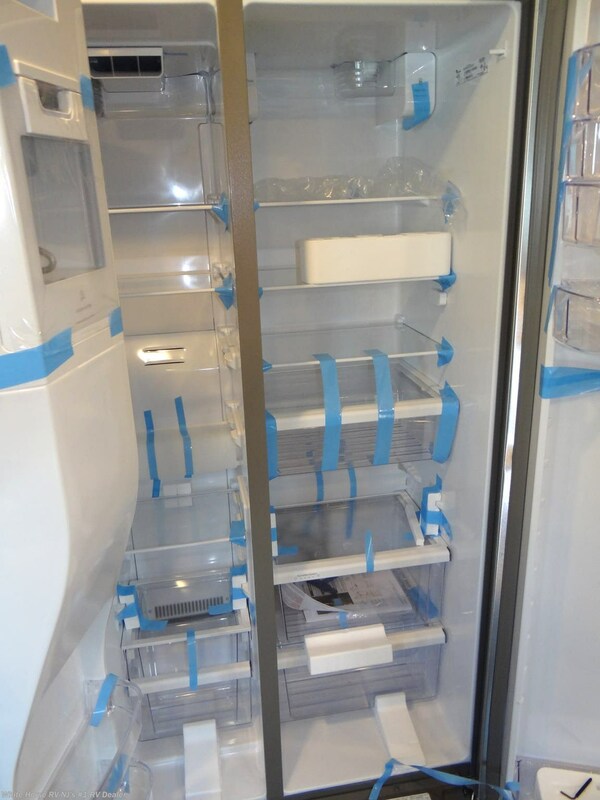 Some of the Eagle’s standard features include 15,000 BTU "Whisper Quiet” A/C, roof ladder, Dometic® refrigerator w/raised panel inserts, porcelain toilet w/foot pedal, black tank sprayer, LCI ScreenShot™ automatic screen door, JaySMART™ LED exterior lighting & heated and enclosed underbelly. 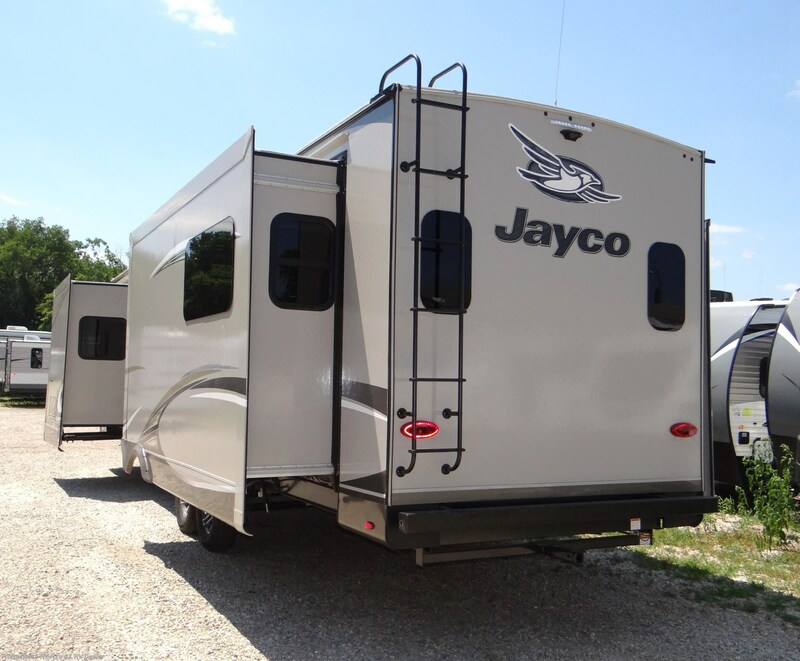 Jayco’s Exclusive Customer Value Package adds the following: Goodyear® Tires with Aluminum Rims, Dexter axles, 15k BTU "Whisper Quiet” A/C, Quick Recovery Water Heater, Simmons® Mattress, 15k BTU "Whisper Quiet" A/C, Electric Patio Awning with LED Light, Friction Hinge Entry Door, Stainless Steel Range with Glass Cover, Microwave, MORryde® CRE-3000 Suspension, Rear 2" Receiver, LED HDTV, A/V System with Bluetooth® and HDMI®, Hidden Hinges, Bathroom Power Vent, Ground and Rooftop Solar Prep, Backup Camera Prep, Bluetooth Speaker Prep, Digital Thermostat, Wireless Remote Control, Keyed-Alike Lock System. 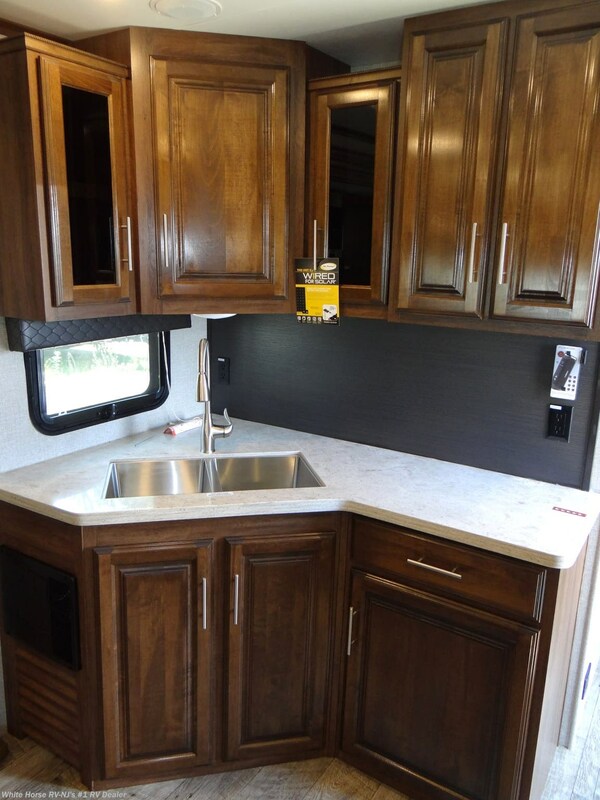 The Luxury Package adds: Frameless Windows, LG HI-MACS® Solid Surface Kitchen Countertops, Soft-Close Kitchen Drawers, LED Fireplace, Sound Bar, Washer/Dryer Prep, 50 Amp Service with 2nd A/C Prep. 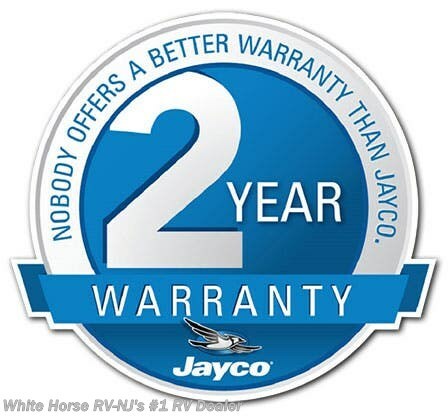 #EA12105 also has the following factory options: King Bed residential refrigerator & 32” LED TV in bedroom,…all backed by Jayco’s 2-year warranty! 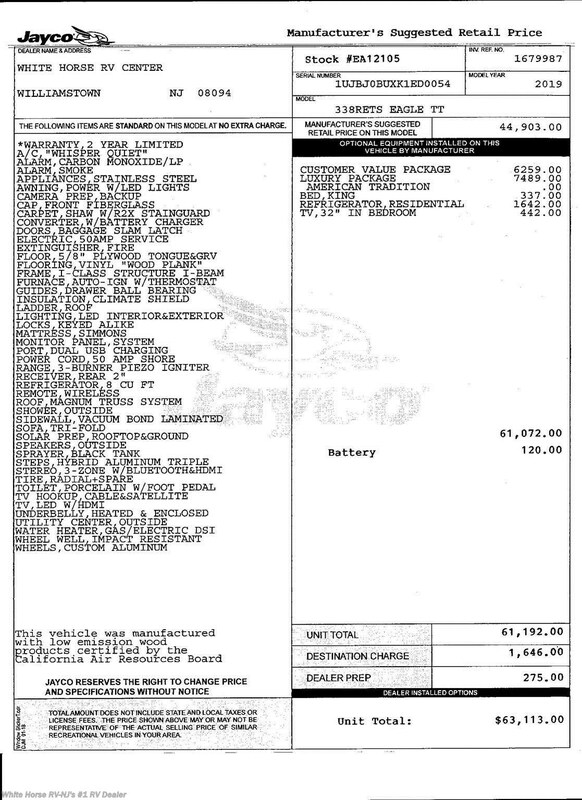 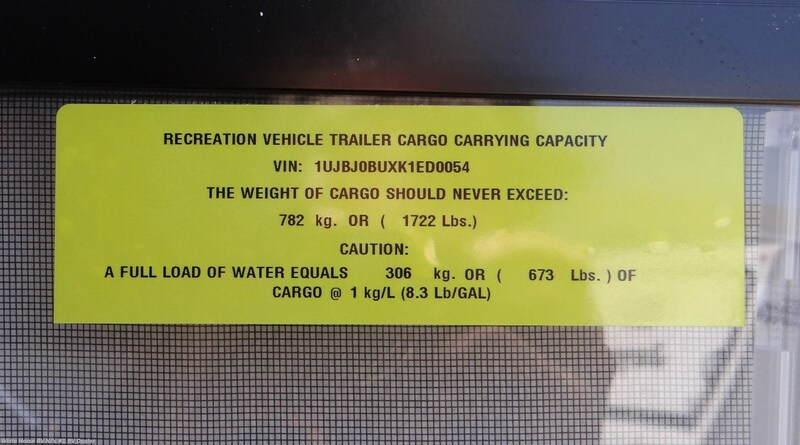 MSRP $63,113. 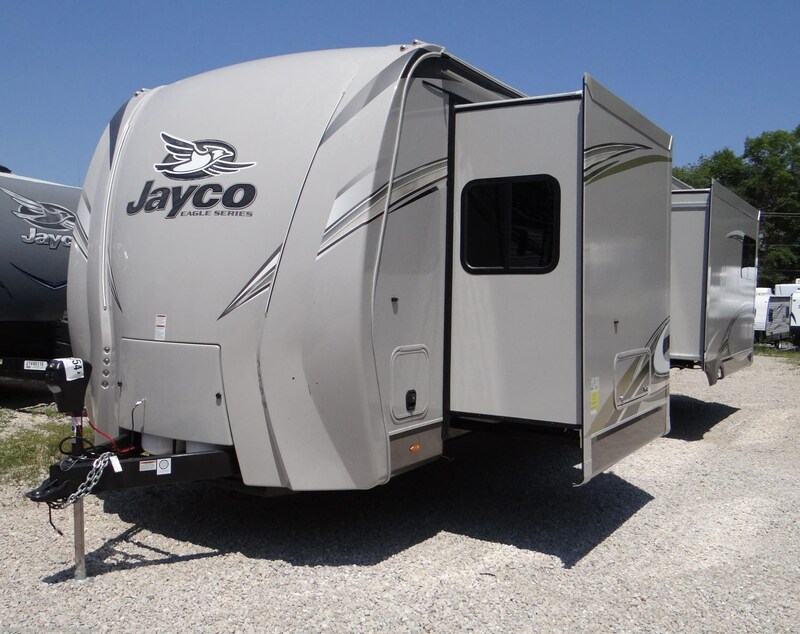 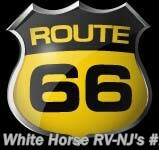 Please visit, email, or call Sales at 856-262-1717 for more details on the luxurious 2019 Jayco Eagle. 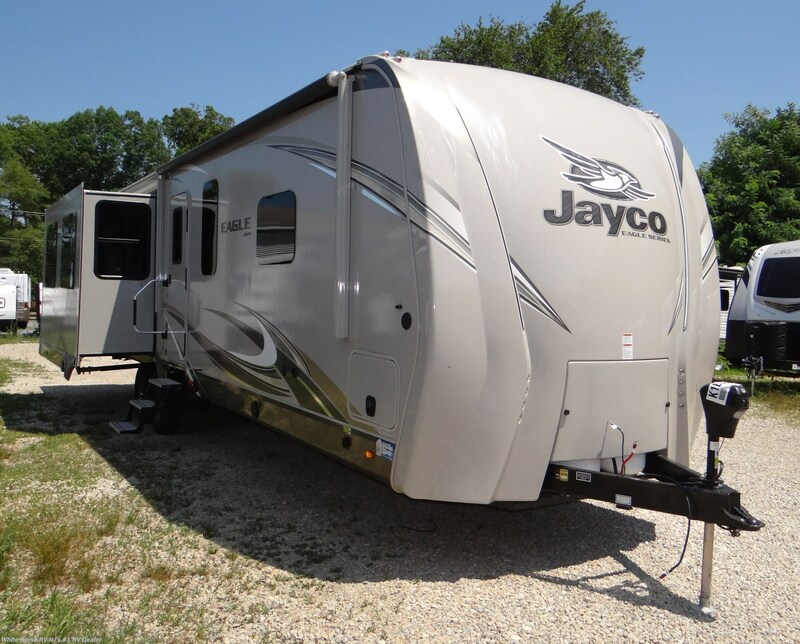 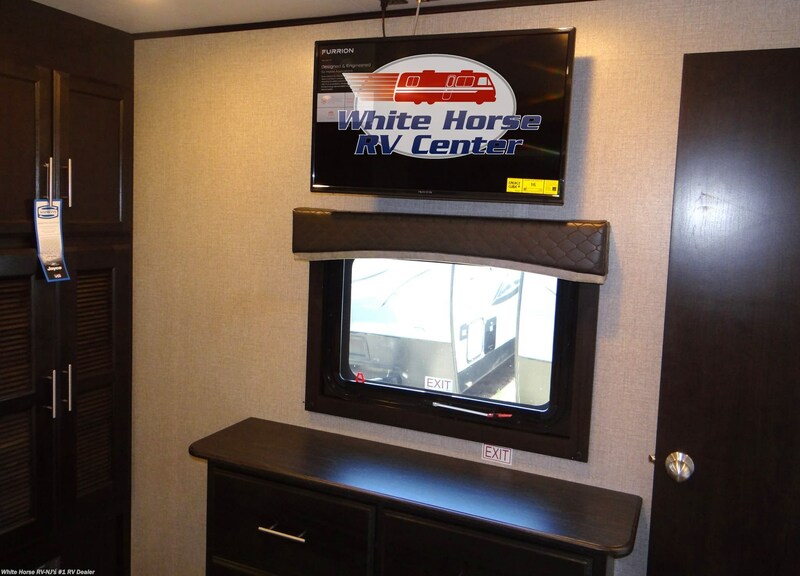 See this Stock # EA12105 - 2019 Jayco Eagle 338RETS Rear Entertainment Triple Slideout on White Horse RV Center! 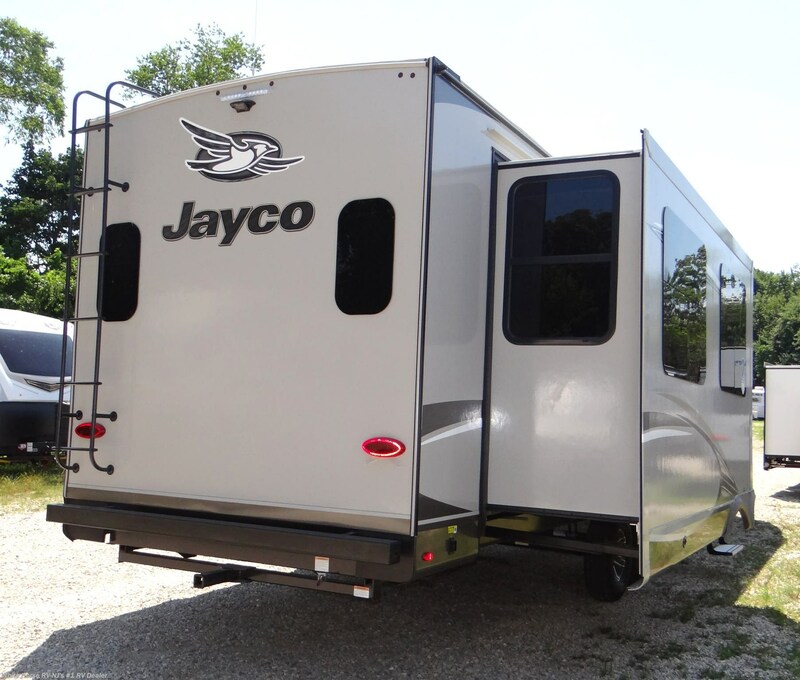 Check out Stock # EA12105 - 2019 Jayco Eagle 338RETS Rear Entertainment Triple Slideout on jaycorvsource.com!